Classic cufflinks for gentlemen. Simple, straightforward and incredibly stylish with a half matt, half polished finish. Classic Cufflinks For Men is rated 5.0 out of 5 by 3. 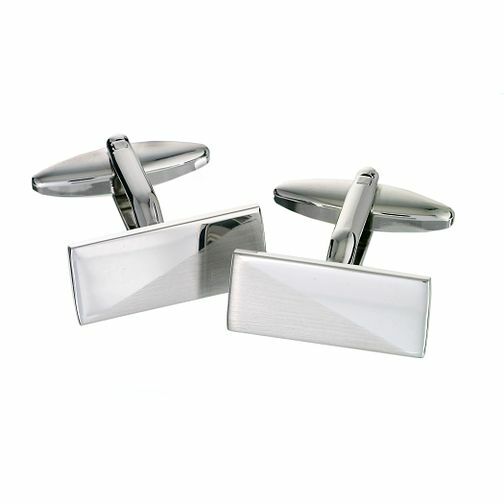 Rated 5 out of 5 by Anonymous from Classy, good quality Simple classy cufflinks, good value. Recipient very pleased. Rated 5 out of 5 by alice51 from excellent purchase and great value. I bought these for my brother for christmas and they are exactly what he wanted. He's very pleased with them and so am I as they are excellent value for money.